Meridian Mining plans to implement a rainy-season output strategy, allowing it to maintain cost-efficient production year round. 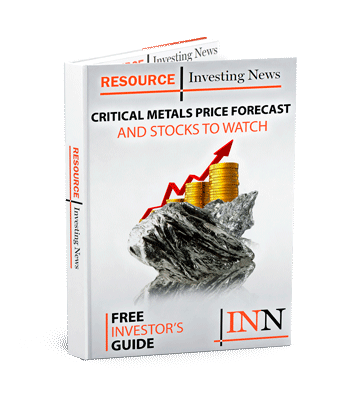 Canadian junior manganese and gold explorer Meridian Mining (TSXV:MNO) has updated its Brazil-based manganese project just in time for the wet season. Meridian plans to implement a rainy season output strategy, allowing the critical metals explorer to maintain cost-efficient production year round. Part of the preparation includes the field mobilization and installation of the trommel, a rotating wet screen. The specially designed trommel, situated in the Vitalino prospect area, allows for wet stockpiles to be processed, and the manganese separated. It is located next to a permitted water source, with a generator and water pipeline installed, temporary tailings dam constructed and feeder hopper ready for installation. The newly installed piece of separation equipment is slated for final field commissioning and a first production run later this month. If all goes accordingly, the trommel will operate for 20 hours per day 5 days a week, with a base-case feed rate of 100 tonnes per hour. Company CEO and president, Gilbert Clark, explained why Brazil’s fall climate is often detrimental to mining productions in the company announcement. The uniquely crafted trommels make production during the wet season possible. “Located in the field, the trommels can now produce on-site a manganese oxide pre-concentrate hosted by a clean sand/gravel mix with low water content for subsequent trucking and final refinement,” he noted. In addition, to introducing the machinery to their production chain, Meridian has also submitted additional water permit requests. If approved, the company plans to introduce the Rio Madeira trommel to the field during Q1 2019. When functional, the Rio Madeira trommel has a base-case feed rate of 150t per hour. Meridian Mining shares were flat on Wednesday (November 21), trading at C$0.085.